Brackenrigg017687 72258work Self-cateringBeautiful holiday cottages for 2, 4-5 and 10-12. 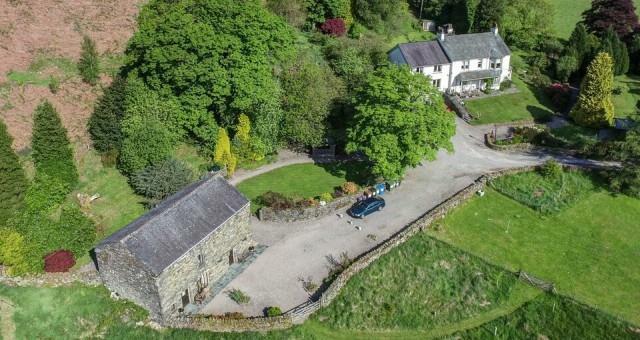 Brackenrigg House is our impressive double fronted Victorian estate house with 5 ensuite bedrooms, games room, lounge, hand made oak kitchen, dining room, outside verandah overlooking stunning views to Helvellyn and summer house with BBQ and seating. 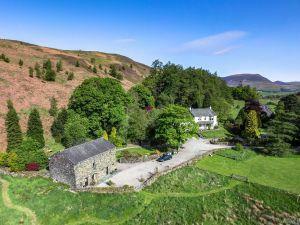 Brackenrigg is located in the Naddle valley 2.5miles from Keswick and 10 mins drive from Grasmere with magnificent views of Helvellyn and Blencathra, gardens and woodland to explore, delightful walking straight from your door. Beautiful holiday cottages for 2, 4-5, and 10-12. Brackenrigg is set in the heart of the Lake District, about 2 miles from the delightful Victorian market town of Keswick-on-Derwentwater, and a 10-minute drive from historic Grasmere. The magical ancient stone circle at Castlerigg is about 1.5 miles away. The location is superb for exploring all areas of the national park, well positioned in the very heart of the Lake District. With lovely gardens and woodland, home to red squirrels, deer, badgers, buzzards and owls, you can hike from the door, or use Brackenrigg as the perfect base from which to explore Lakeland. Whether you're looking for a cosy retreat for 2 or a family holiday, one of our lovely cottages will provide you with a superb venue. Brackenrigg offers weekly bookings starting on Friday and sometimes short breaks. Awarded 4 stars by VisitEngland. Magnificent location, only 2 miles from Keswick, 10 mins from Grasmere, 1.5 miles from the magical ancient stone circle at Castlerigg. 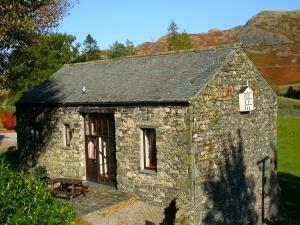 Stunning and spacious 2 bedroom cottage with fabulous views. One double, 1 twin, also z-bed for child. Laundry room. Gardens, patio with furniture and BBQ. Prices incl. all linen, towels, elec, Central heating, & Stunning views! The Sett offers weekly bookings starting on Friday and sometimes short breaks. Beautiful holiday cottages for 2, 4-5 and 10-12. Whatever your requirements, please do let us know. We live here, so will be delighted to help you plan the perfect Lakeland holiday. Easy access to Keswick on Derwentwater with pubs, restaurants, shops, leisure pool, climbing wall, cycle hire, watersports. Pets accepted in Bleaberry cottage Children welcome from any age. From M6 jct 40 follow A66 towards Keswick. Take the first exit to Keswick and then follow the A591 towards Ambleside and Windermere. Brackenrigg is set back from the road on the right hand side, 2.5 miles from Keswick. Units vary and not all have all the facilities please state requirements when booking.